Silly Sir Brewing Co.Travel Beer Blog Archives - Silly Sir Brewing Co. In January I set forth with my partner Sara on an epic 6-week cycling trip across Middle Earth, and while we sampled some tasty beer, our trip was admittedly less about "hoppy drank" and more about escaping the depressive horror of a bone-chilling Canadian winter. Oh, that and finding Hobbit meat. They were not home. "Where is all the Hobbit meat? ", wondered Sara. Fortunately, before returning home we did manage to score a kilogram worth of New Zealand's highly regarded and sought after Riwaka hops - a hop variety that's currently unavailable in North America (unless you're exceedingly well-connected). Note: I originally wrote this piece for the Neat Pour audience. Though it's not quite my style (part of my goal with Silly Sir is to make great beer appealing to casual drinkers by avoiding describing it so much), I think it makes for a pretty interesting read. 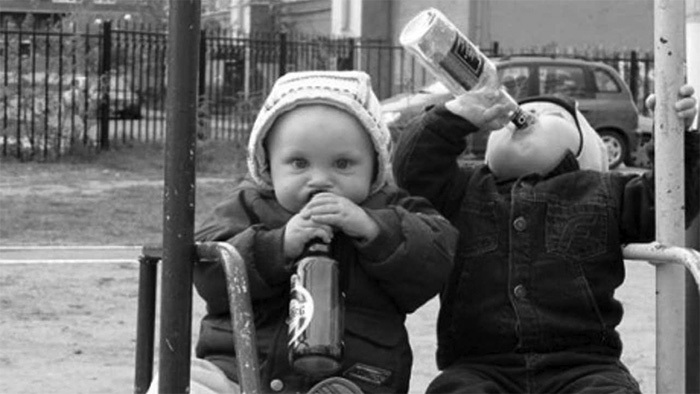 I started drinking beer when I was three-years-old. A curious miniature me demanded a sip from my mother's can of Budweiser. “You won’t like it!” she insisted. She was right. It was here, at this early age, that I learned beer tasted like piss and vinegar. It was an awful substance, and I couldn’t understand why grown-ups liked the stuff. I swore I’d never drink beer again–in hindsight, I realize that this sentiment was exactly what my mom wanted to hear. If I were to take a random sampling of my readership audience I'd wager a bet that at least 90% of you are white men. Of this group, 75% of you have pretty legendary beards, and if you don't it's probably because your beard growing capabilities are sub-par. Of the remaining 10%, half of you are white females (probably not bearded), and the rest of you are from various ethnicities (though you're most definitely blokes). The GTA Brews Homebrewing Club - of which I am a member - is the biggest of such clubs in Toronto. Toronto has one of the most diverse populations in the world, and yet GTA Brews struggles to broaden its base to appeal to women and minorities. We're trying though. Amongst the rarest in the group, it seems, are black, and Asian people. … unless you're in Bangkok! June 12, 2016 - 1 comment. Durian + Alcohol = INSTANT DEATH?! Most Malaysians go absolutely crazy for this perplexing, stinky fruit called durian. Its creamy fruit centre is encased in a hard, spiky shell, and its distinctive sulphuric stink immediately envelops its surroundings in a foul, garbage-like wave of offence. It is said that consuming alcohol and durians together will result in an instant death. Sara's younger cousin insisted that I not drink any beer while consuming the controversial fruit as I'd immediately keel over and die. I was skeptical. Being the experimental brewer that I am, I bet against this notion and almost took it as a challenge. 'I'll show you!' I thought, 'I'll even craft a durian beer to in order to falsify this silly myth!' (though I'd give it to the suckers in my local homebrew club to try first, of course, just in case). Sara and I are currently in Bali, which is home to our new favourite Southeast Asian beer thus far: Bali Hai. We stumbled upon it at a knock off 7-11 (Mini Mart) in Ubud, and were thrilled to finally find a beer that wasn't Heineken or Bintang (Indonesia's favourite beer). 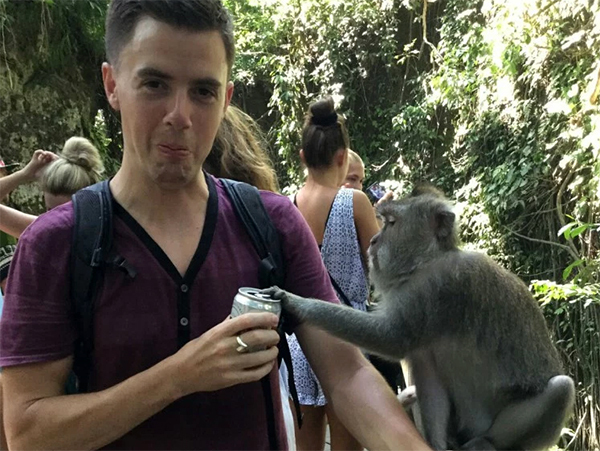 I bought a small can of it for the equivalent of about $2.40 CAD and proceeded onward to the Alcoholic Monkey Forest.